Have you always been dreaming of a romantic destination wedding at the beach in the Dominican Republic? Are you looking for a beautiful wedding location far away from other tourists and with white sand and crystal-clear water? 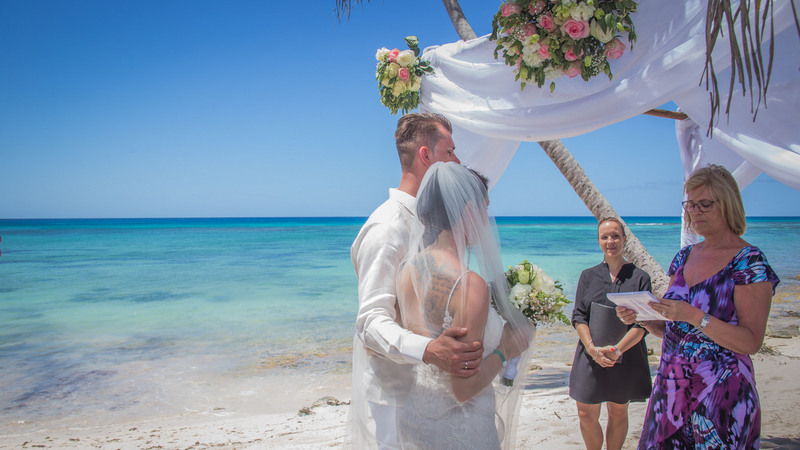 The professional wedding planners of DOMINICAN EXPERT would be happy to organize your unique destination wedding on Saona Island. 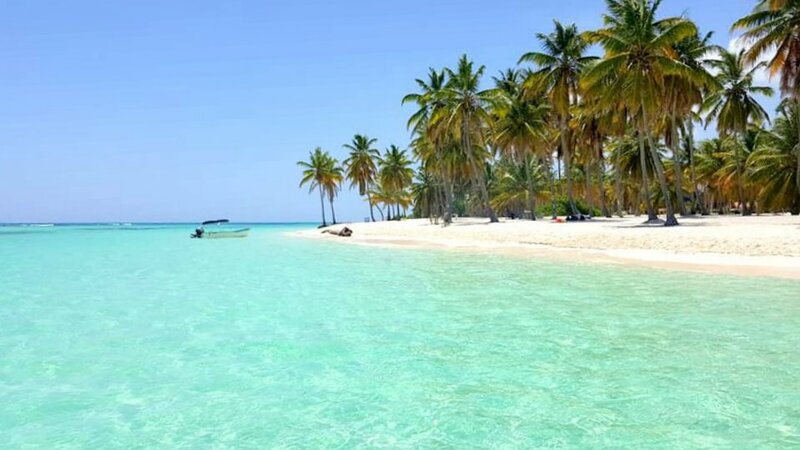 A boat transfer for you and your guests is already included, as the heavenly beaches of this Caribbean island are located about 45 minutes off the Southeast coast of the Dominican Republic and are part of the national park “Parque Nacional del Este”. 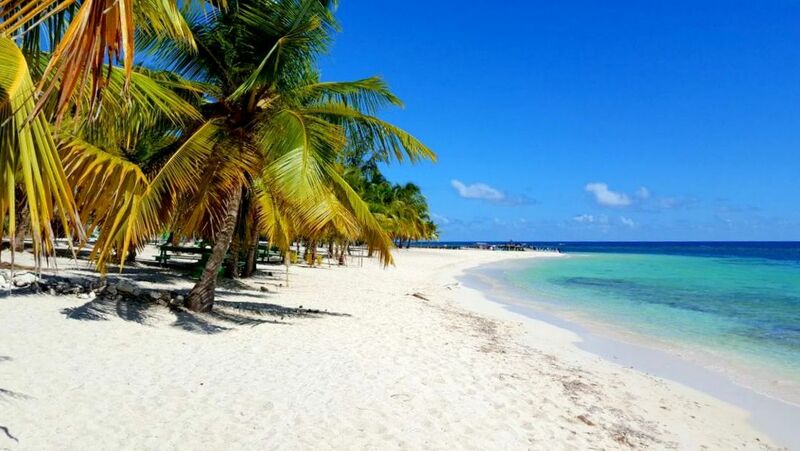 Departure time at your hotel is at around 09:00am, therefore you can already board the speedboat at 10:00am in Bayahibe. 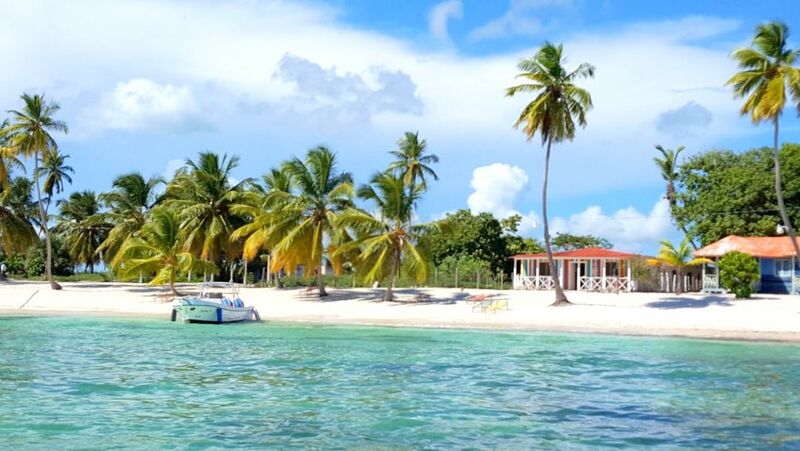 The 45 minutes boat ride takes you along some wonderful, untouched beaches of the national park and lagoons off the coast of Bayahibe. There, the turquoise blue ocean is only waist-high and invites you to linger on sunny days. 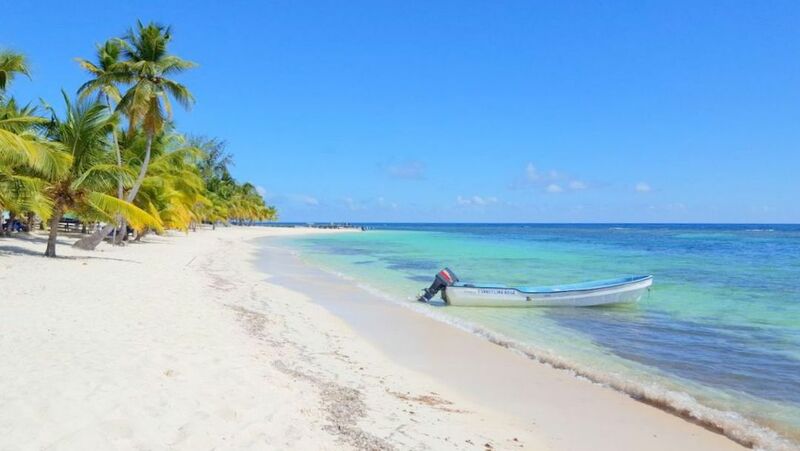 For you and your wedding guests though, the ride continues to remote, untouched beach on Saona Island, with only a small, typical Dominican village and a guesthouse close-by. After the ceremony, you could even spend the night here directly at the beach, if you want to enjoy the island in the evening all by yourself. Only a few meters further, you will find a beautiful wedding ceremony location: a pergola decorated with flowers exactly as you have been dreaming of, classic white chairs with some small flower arrangements and flower petals on the way down to the isle. If you are looking for some wedding decor inspiration, please click here! You and your guests will be welcomed with a tropical cocktail. After this refreshment, the ceremony master is already awaiting you. In the background, there is soft guitar music playing and the moment has finally come to say “I do” at a wonderful Caribbean beach, beneath swaying palm-trees. After the ceremony, some small appetizers and champagne are ready to toast with your guests. 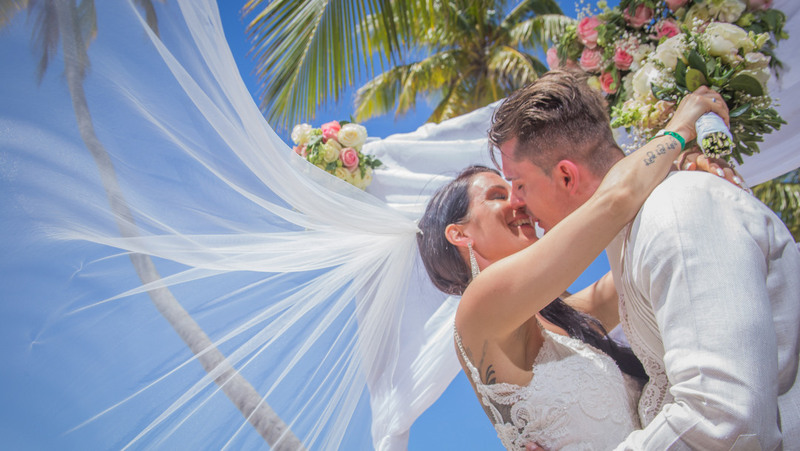 A photographer captures all those beautiful and special moments of your destination wedding in the Dominican Republic for you. 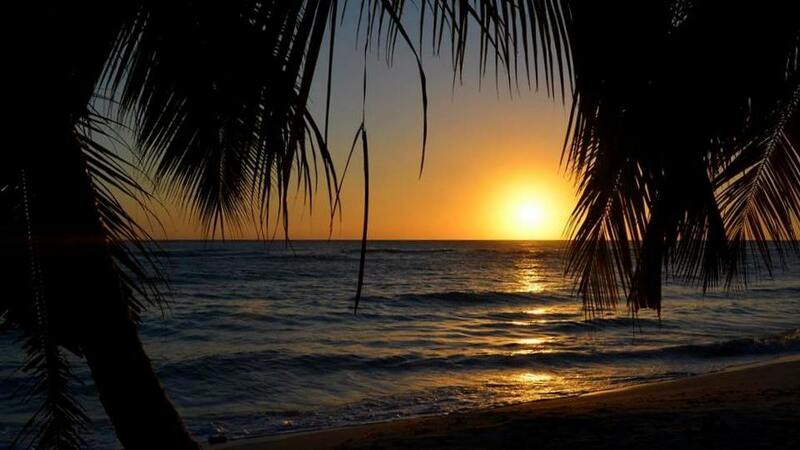 A photo session right at this perfect Caribbean beach with wonderful photo scenes of course can´t be missed either. 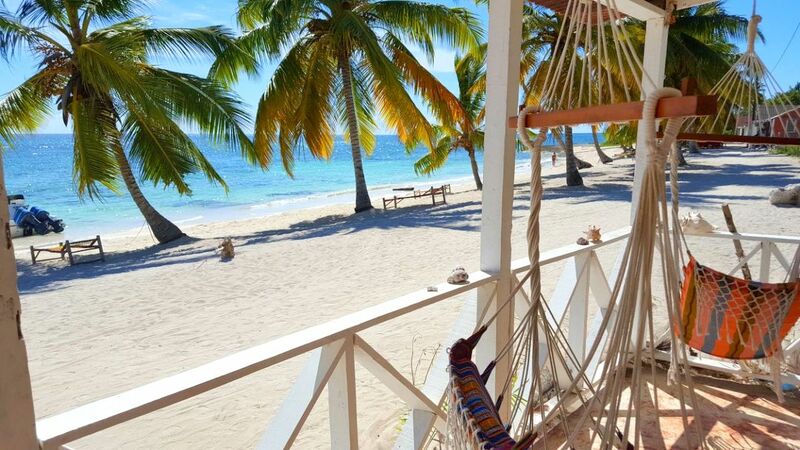 Following, the local restaurant will prepare a rustic, sumptuous Dominican lunch buffet for you and your guests of fresh grilled fish, seafood and lobsters to chicken and delicious Dominican side dishes. 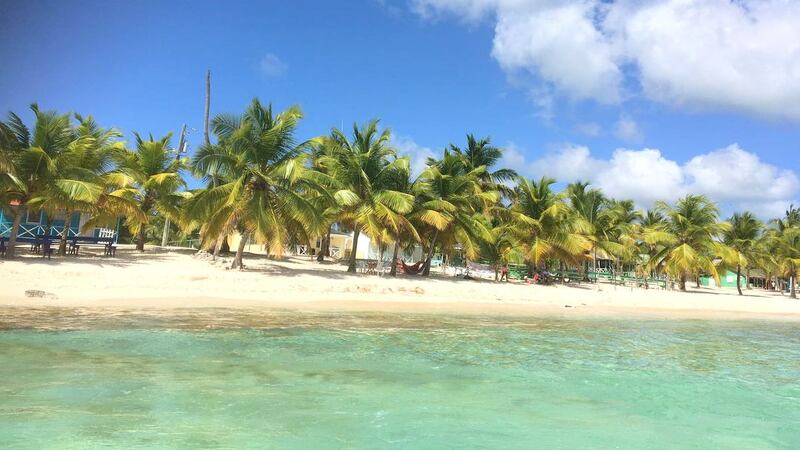 Before leaving Saona Island again by speedboat at around 04:00pm, you still have time enough to enjoy the beach and tranquility with your guests. If you decide to stay the night on Saona Island, you can look forward to an incredibly romantic sky full of stars, the soft sound of the ocean waves and the beach right in front of your room in the guesthouse. 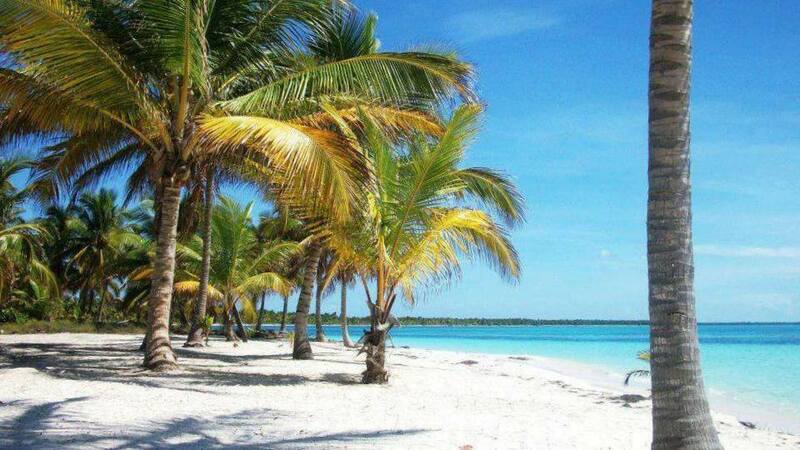 We will also be happy to help you organize the accommodation for you and all your guests at one of our amazing all-inclusive resorts in Punta Cana or La Romana, and of course a transfer from the hotel to the port, from where you will leave for Saona Island, where your Caribbean destination wedding will take place. 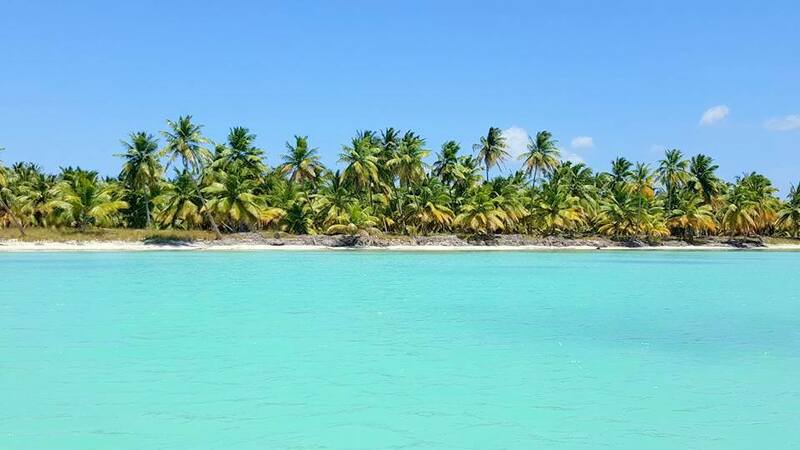 Does this sound like your dream of a destination wedding on the pristine Saona Island in the Dominican Republic? We love to make your wedding day perfect and an unforgettable experience. Contact us! Are you also dreaming of a destination wedding on Saona Island in the Dominican Republic? Our wedding planners are looking forward to your inquiry! Contact us!Have a look at our wedding packages!